I was asked to illustrate this map for The Barbican and Create London last October. 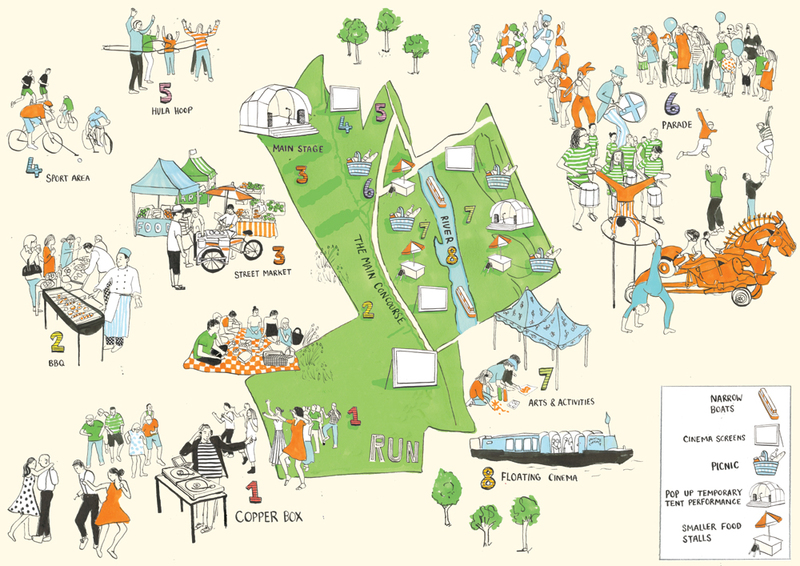 The vision was an organic boutique festival which included a parade, canal boats, cinemas, dancers and picnic spots. The map was used for a proposal for a celebration weekend at the Olympic Park. I was pleased to hear the pitch was a success.